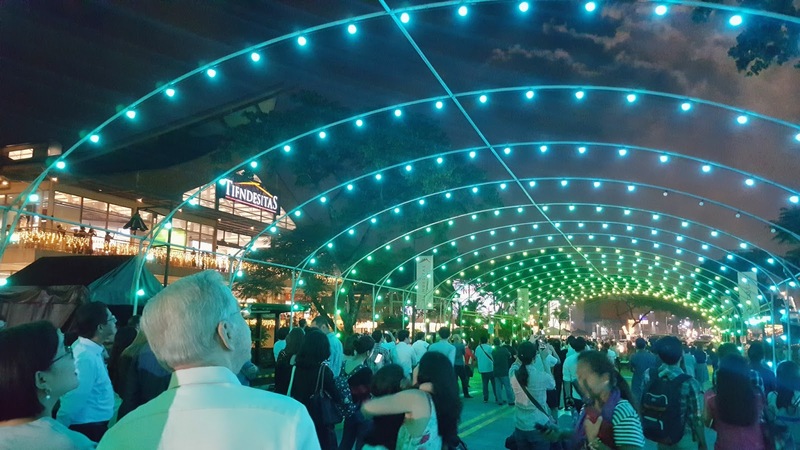 Have you been to Tiendesitas lately? No? Well, if you think it's only a place where you can buy some of your pet needs and eat a scrumptious meal, well you better think again. 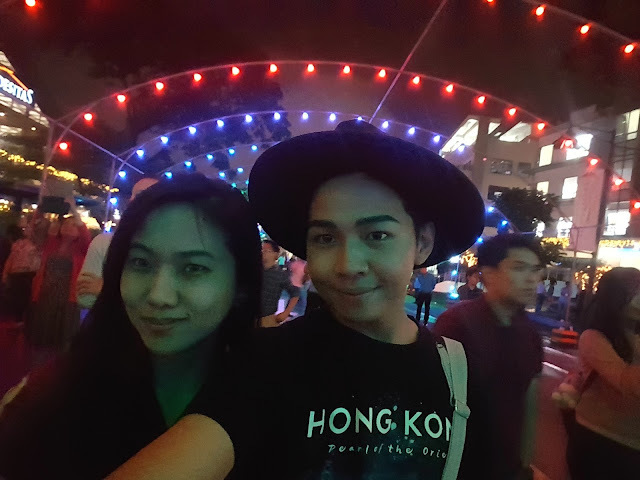 Because aside from the fact that this where I bought some of my make up stuff, the place is also packed with activities you surely cannot miss! I recently attended the lighting ceremony of Philippines first Christmas Musical Street Light Tunnel, and I have to tell you that it is ultimately Instagramable. It'll sure to make heads turn and keep eyes glued as families and friends bask under the glow of a shower of lights with songs filling the air to boot. It will be the ultimate Christmas experience for shoppers and diners to take a walk or drive through a dazzling tunnel of lights. The magic and grandness of it all will definitely stay with anyone who experiences it for a lifetime. Christmas at Ortigas Malls is full-packed with activities. 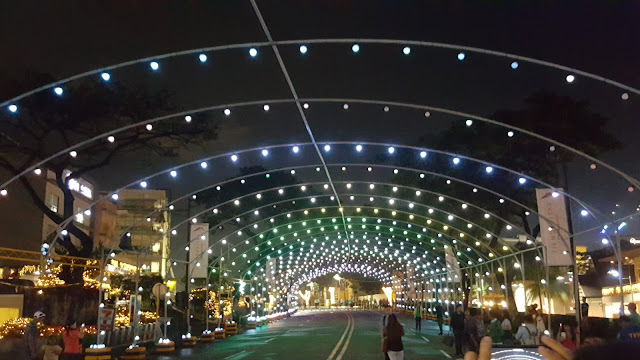 At Greenhills, the Christmas Village runs from November 8 to January 7. Also catch Mrs. Claus’ Bazaar at the VMall Lobby daily, the Night Market from November 18-January 7, Meet & Greet Santa on all weekends of December, Fireworks on all Saturdays of December including December 24, and Simbang Gabi from December 16-24. 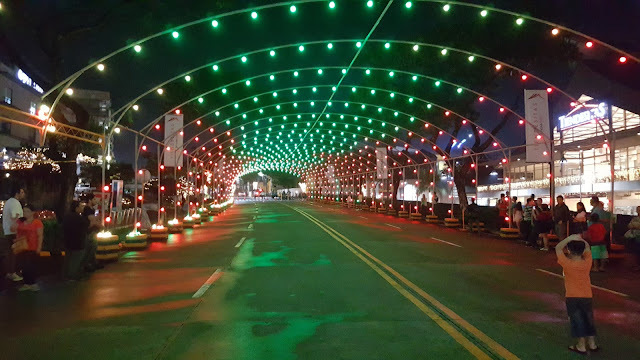 Ortigas East boasts the following offerings: the Christmas Musical Streel Light Tunnel from November 10 to January 7, Christmas Display along C5, Tiendesitas, Meet & Greet Santa on all weekends of December, Fireworks all Saturdays of December including December 24, and Simbang Gabi from December 16-24. The holidays roll over at Estancia in Capitol Commons with The Vast Imaginarium Mirror Rooms from November 9 to January 7, Christmas Mercato from November 16 to January 7, Pre-Holiday Sale on December 2 and 3, the Christmas Bazaar on December 2, 3, 9, 10, 16-25, 30, and 31, TLC Christmas Food Park on December 3, MIIS Kids Can! Bazaar on December 9, Fireworks on December 3, 10, 17, and 24, Meet & Greet Santa on all weekends of December, National Open Fencing Cup on December 10, Simbang Gabi from December 16-24, Zumba at the Park on all Saturdays, Acoustic Saturdays on all Saturdays, and Sunday String Quartet on all Sundays, Christmas is all over Industria in Circulo Verde with these offerings: the Christmas Trunk Bazaar on November 25, The Great Bike Sale on December 2-3, Terry Larrazabal Bike Festival on December 10, Pump Track Challenge on December 16, and Simbang Gabi from December 15-23.